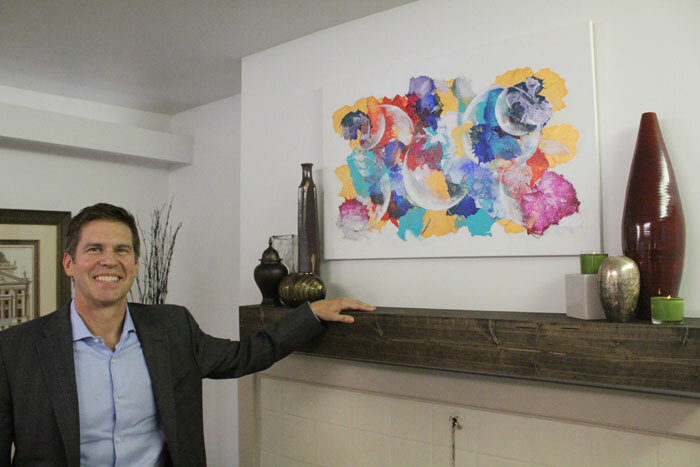 Photos by Brandon Macz: Dr. Eric Waterman has opened his Waterman Rhinoplasty and Nasal & Sinus Center of Seattle in Madison Park. Dr. Eric Waterman had wanted to establish a practice in Seattle for years. The ENT and rhinoplasty and facial plastic surgeon has had an office at Valley Medical Center in Renton for years, and is also part of the clinical faculty at the University of Washington. One day the Leschi resident was walking by Madison Park Dental with his patient liaison, Michaela Reilly. He told her it was just the type of small, neighborhood office he was looking for. Dentist Mark Taylor died unexpectedly last September, leaving empty his Madison Park Dental office at 4111 E. Madison St. Reilly saw it listed on Nextdoor and called Waterman. 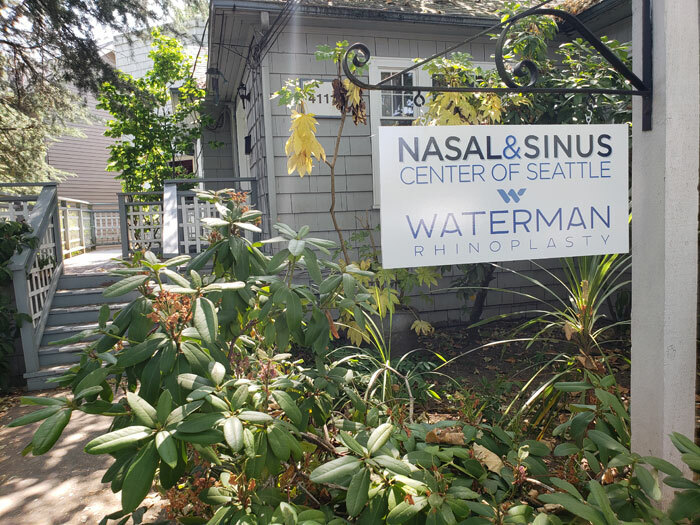 Renovations on the Madison Park office space started in April, and Waterman Rhinoplasty and Nasal & Sinus Center of Seattle is just now opening its doors to patients. “We tried to keep the charm of the place, to keep with Madison Park,” Waterman said. Old, blue carpeting has been replaced with wood flooring, and a lead wall for X-rays was removed. The office has been modernized, and several pieces of art by Annie McKissick hang on the walls. McKissick will show more works during this year’s Madison Park Art Walk on Sept. 14. A Seattle native, Waterman was accepted directly from high school into a Rensselaer Polytechnic Institute/Albany Medical College BS/MD program, and completed his undergraduate degree in biology at Rensselaer. He earned his medical degree from Albany Medical College in New York when he was 23. He received the John Milton Bigelow Prize for excellence in examinations related to ear, nose and throat during his senior year. “I knew from a fairly early age that I wanted to be a doctor,” Waterman said. His great-grandfather was an eye, ear, nose and throat surgeon in Massachusetts, and Waterman now owns his old medical instruments, which he plans to display at his office. Waterman said his passion for rhinoplasty developed during his four-year subspecialty residency in otolaryngology, or ear, nose and throat (ENT) at Albany Medical Center Hospital. His mentor there, Dr. Peter Koltai, introduced him to rhinoplasty. It’s not just cosmetic surgery; it’s also a lot of functional nasal and sinus work. Waterman said those patients are usually referrals, but these days people are getting on the internet and bypassing urgent care centers and primary care physicians. “A lot of general plastic surgeons are not very aware of airways function,” he said. Rhinoplasty is one the most challenging facial surgeries a doctor can perform, he said, because every change can affect nasal function. Computer imaging is very important when planning a procedure. “It’s this great combination of engineering and art,” Waterman said. He provides allergy management at his Renton office, as well as Botox and filler injections for wrinkles, lines and folds. “That’s a little niche I can fill in this community, as well,” Waterman said. Waterman said he plans to spend his mornings working in Renton, and then take afternoon appointments in Madison Park, two miles from home. Find out more about the doctor and the services he provides at watermanrhinoplasty.com.